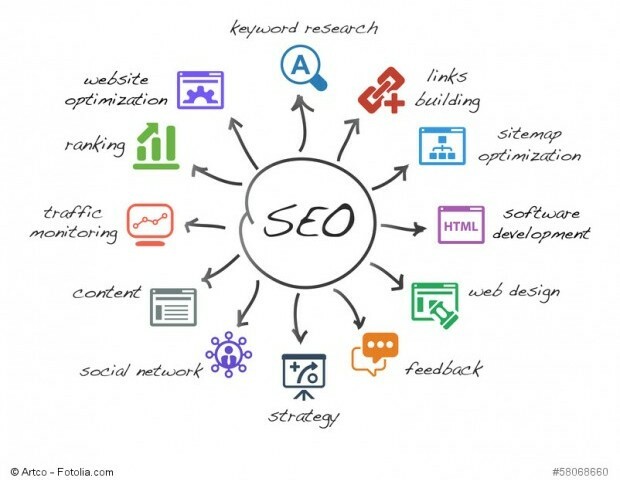 SEO is an abbreviation for Search Engine Optimization, and is especially important for web pages as it naturally ranks them higher on search engines such as Google, Yahoo, and Bing. Search engines show results based on relevancy to the user’s search, as the first websites that come up are typically the most relevant to the user. While there is no payment involved, as it is for paid search ads, SEO involves a lot of tactics and strategies in order to make the web page better ranked, and therefore gaining more visitors. When someone conducts a search using a search engine, they most likely won’t spend time looking through the thousands of pages of results. Instead, one will typically look at the first or second page, narrowing it down to the first few results. Due to the nature of users of search engines, those pages that are ranked higher will have the most visitors. There are multiple ways to increase the ranking of a website on a search engine. One priority is keeping the content relevant and making sure it is updated regularly. By updating content, it shows that there is relevancy, and in turn will attract more visits. Keywords are also important and need to be in the opening and closing paragraphs as well as two to four times throughout the content of the page. could be in bold or italics to emphasize them. The keywords should be specific and conversational sounding, and could be in bold or italics in order to emphasize them. Tags and alt tags are also necessary to gain visitors, as they are useful for videos and media and help give a description. Tags are similar to keywords in that they help attract people looking for a certain topic. Links are also a great tool to boost SEO ranking. Good links to other parts of the web page will create a smooth flow. When searching for something on Google, results will show a title, and brief description under it. This description can be the deciding factor if a user will visit or not, and should be simple yet informative. When deciding on keywords, it’s important for it to feel natural and not as a marketing tactic. Users might possibly be able to tell if the content is loaded with a bunch of keywords just for SEO ranking, and could very well turn them off from visiting the website. When creating a website, the user must be the main priority, as they are the ones most affected by a poorly created site. SEO is the most natural and organic way to gain visitors and interactions, and sites should be simple and easily shared. In this case, quality takes precedence over quantity, as it is quality that users care the most about.